You’ve waited too long…Start now! Begin using a leash that was built specifically for strong dogs. Having confidence in your leash is so important, and we have thought of everything. 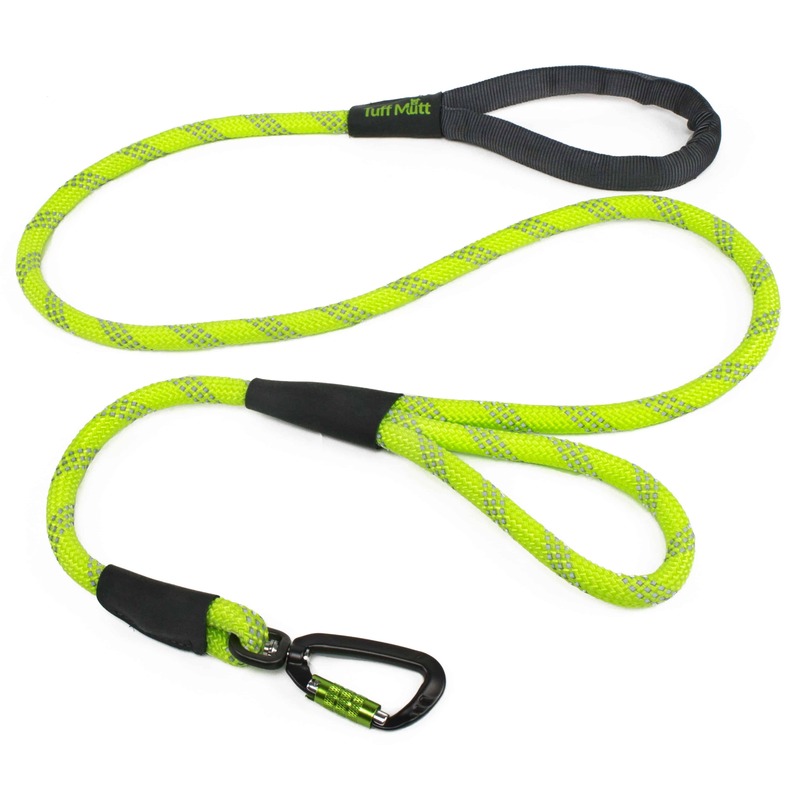 CONTROL YOUR DOG IN HIGH TRAFFIC AREAS: Our innovative double handle rope leash ensures complete control while walking your dog in high traffic areas, parks, events or even those tense neighborhood sidewalk encounters. 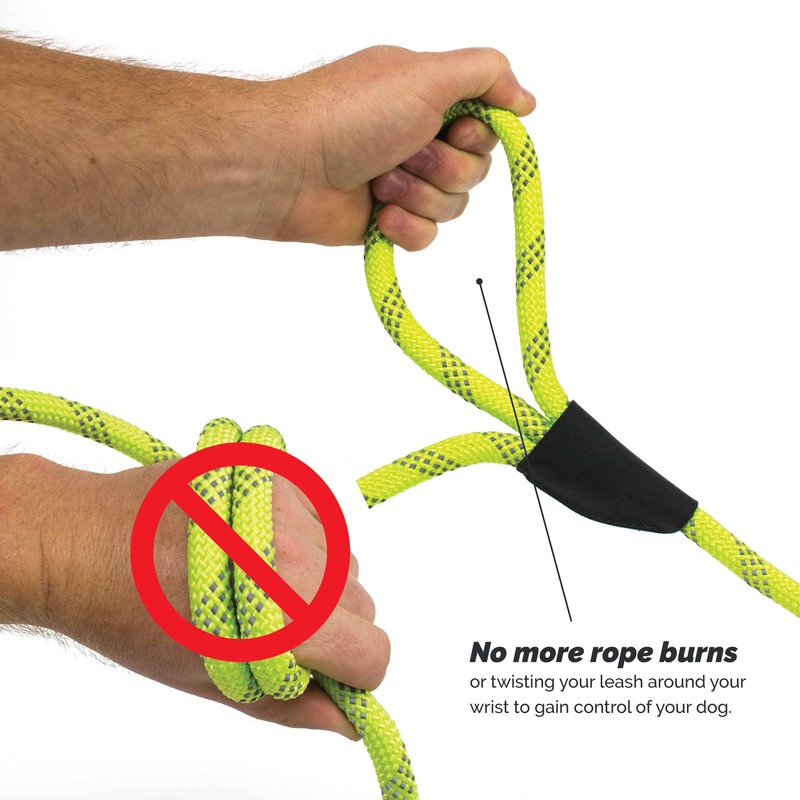 Our easy to grab handle relieves rope burn for a comfortable controlled adventure with your dog. YOUR DOG WON’T PULL LOOSE: You should feel confident that he is not going to pull loose or break your lead attachment. 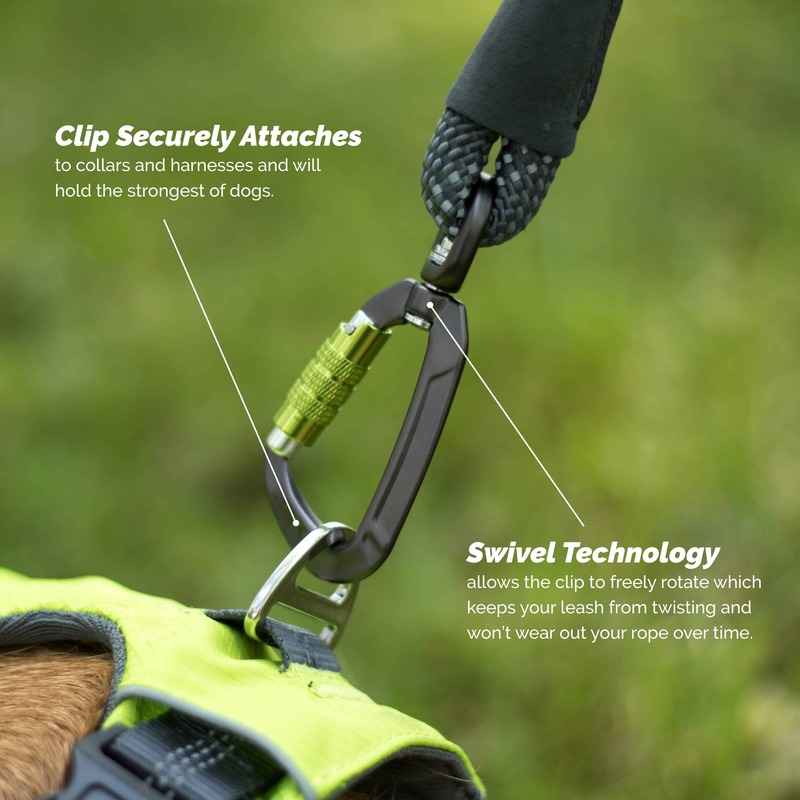 Made specifically for medium and large breeds, our aviation aluminum swivel carabiner has a twist-locking feature that secures your dogs collar or harness to the leash. It holds up to 1000 lbs of force, and won’t twist your rope. LET’S OTHERS SEE YOU AT NIGHT: Do you ever walk or run on dimly lit paths or trails? Then you know how important it is to make sure others can see you and your pooch. 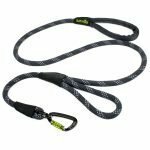 Our slate gray rope leash has three lines of bright reflective stitching that run the length of the leash, to ensure that you guys will be seen from blocks away. 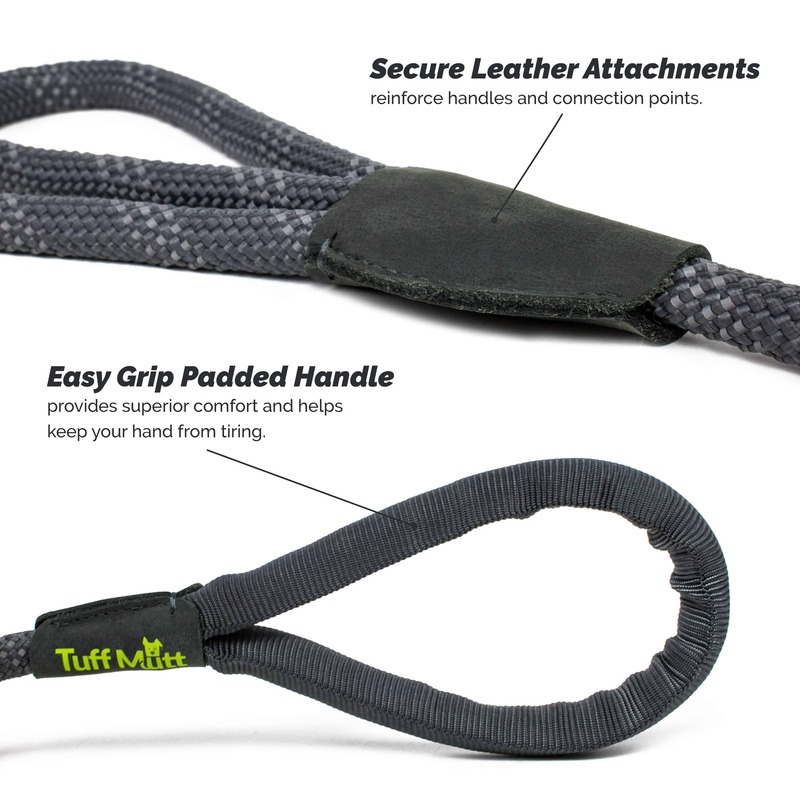 WALK IN COMFORT: Our 5 foot leash includes a durable tubular webbing handle and comes with extra padding, for extra comfort. It’s easy to hold and will keep your hand from tiring out on those longer adventures. When you have a large dog or a strong puller, it’s critical that you have a strong secure leash attachment. We went the extra mile, and have put together a lightweight aviation aluminum carabiner attachment that can hold up to 1000 lbs of force. So unless your dog turns into the Incredible Hulk, you don’t need to worry! 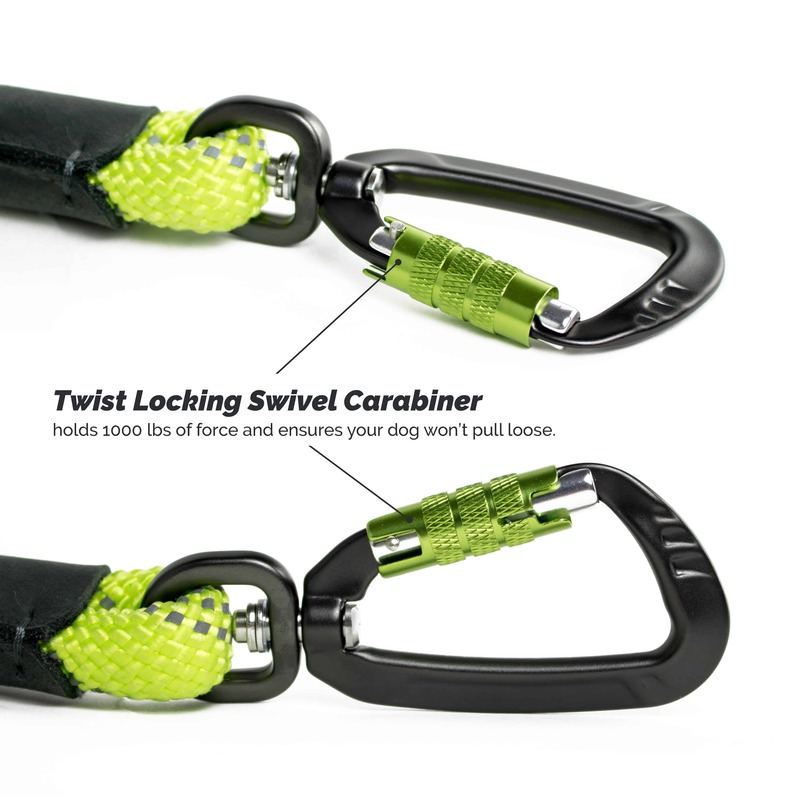 The quick twist locking feature ensures that the clip will not come loose from your dog’s collar or harness. It also has a swivel attachment that won’t twist your rope. Admit it. You have done it. 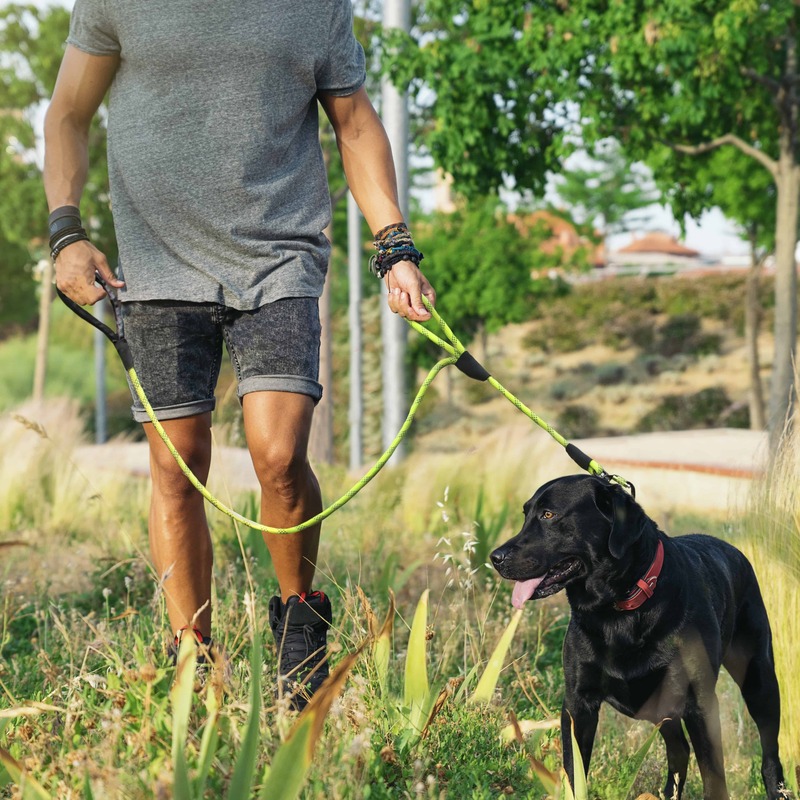 You approach another dog, or are in a high traffic area, and you wrap up your leash around your wrist or forearm to keep your dog on a shorter lead. We built in a 22″ lead with a second control handle to alleviate this. Strategically placed for ultimate comfort and control…and… it just might save you from a painful rope burn. Safety is our top priority. Making sure that you and your dog light up on your late evening adventures is important to us. We have designed in 3 lines of luminous reflective stitching that run the length of the lead. 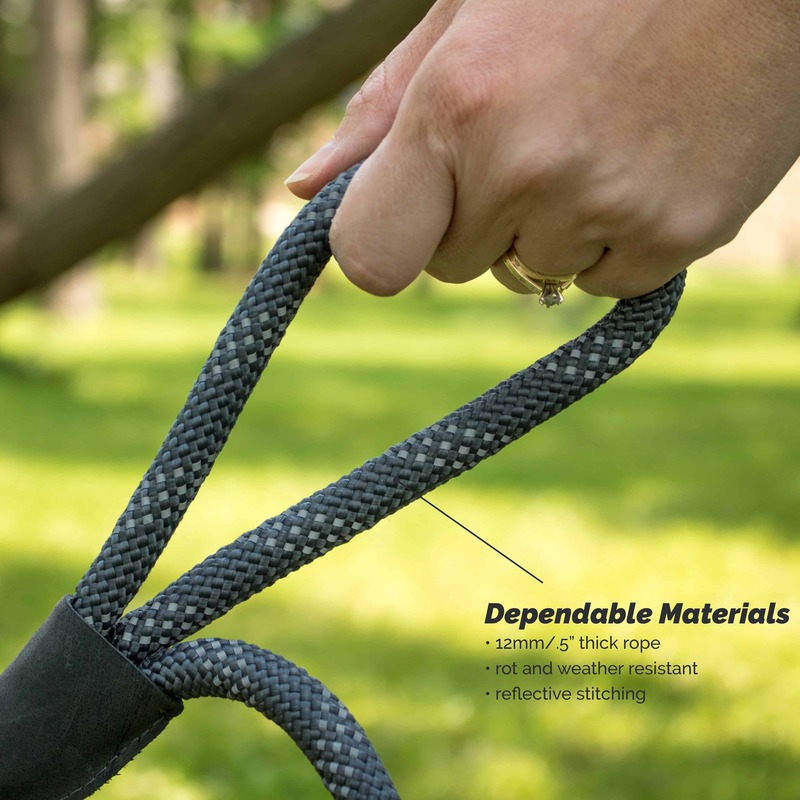 The length of the leash is 5 feet, is made with 12mm rot and weather resistant polypropylene rope materials. Best for dogs 30-150 lbs. 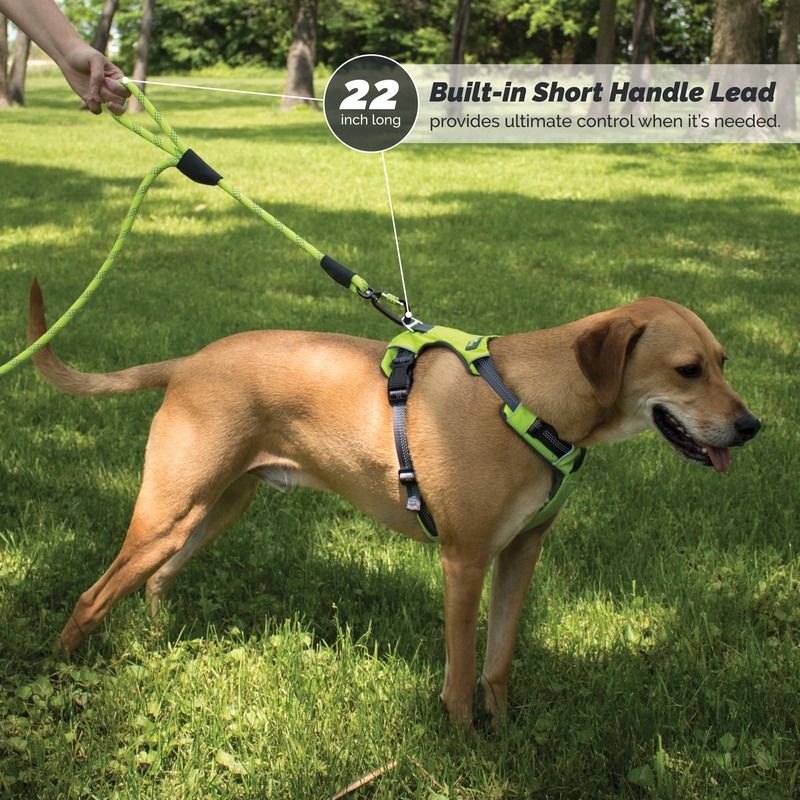 If you’re ready to walk your dog with confidence again, click add to cart now!